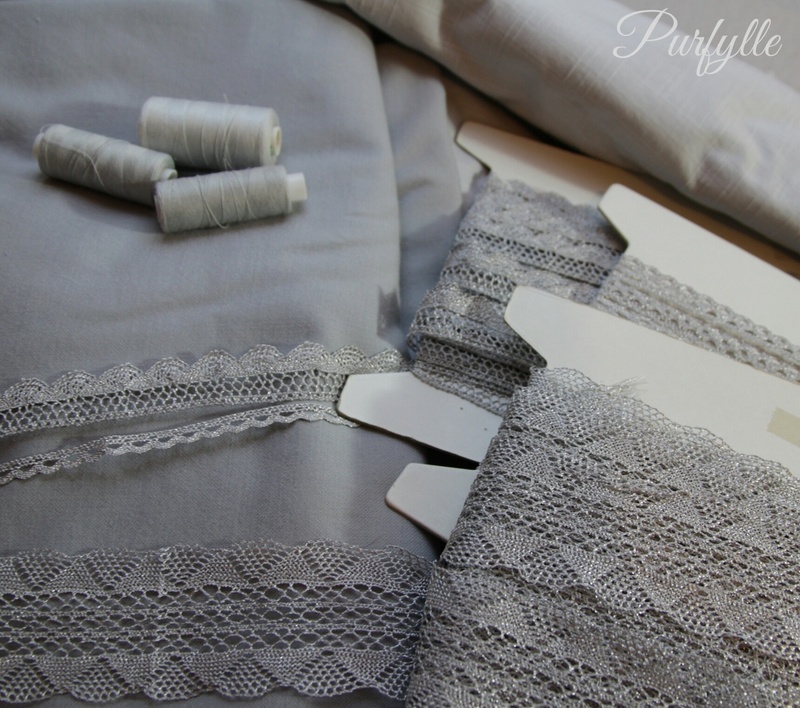 I've made progress on the Dorothea Maria Gown construction. I dug through my fabric stash for the right fabric for this project and found some grey wool (possibly wool blend) suiting that has been waiting to be used for years now, as well as a grey stripe fine shirting fabric (I think it's a linen or cotton blend) that has never decided what it wanted to be. 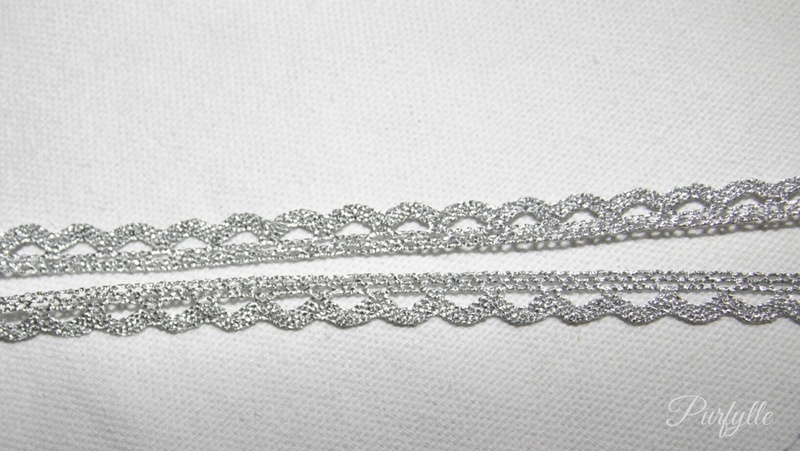 A few years ago I bought some imitation silver bobbin lace (a high quality polyester machine made lace). At the time I bought it I thought it would get used on a blue satin Eleanora style gown, but it just doesn't work with the satin I have. 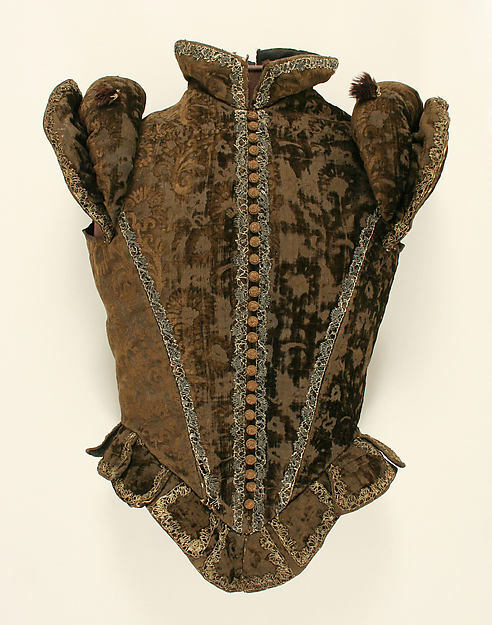 The medium size lace has a scollop shape similar to the lace found on a woman's jerkin c 1570-80 The Metropolitan Museum of Art. I've had this stuff sitting in my stash for ages taking up space with 'nothing to make and nothing to work with them' and it turns out they are perfect for each other, they were just waiting for this project to bring them together. I drafted up the pattern from PoF and then sized it up from there. 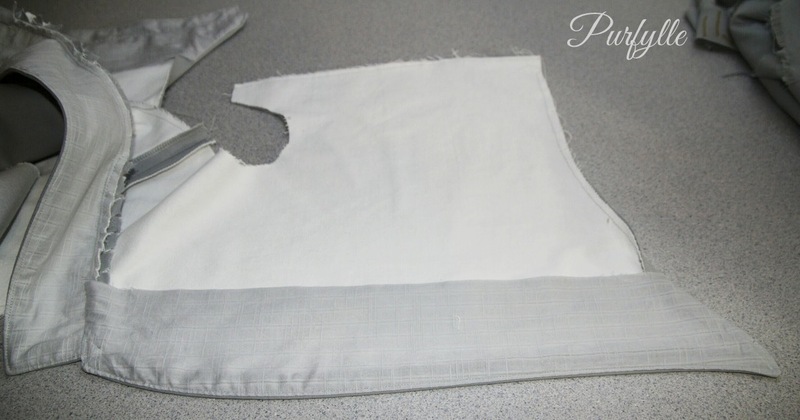 Whilst marking up the pattern and doing the mock up, I prewashed all the fabric. 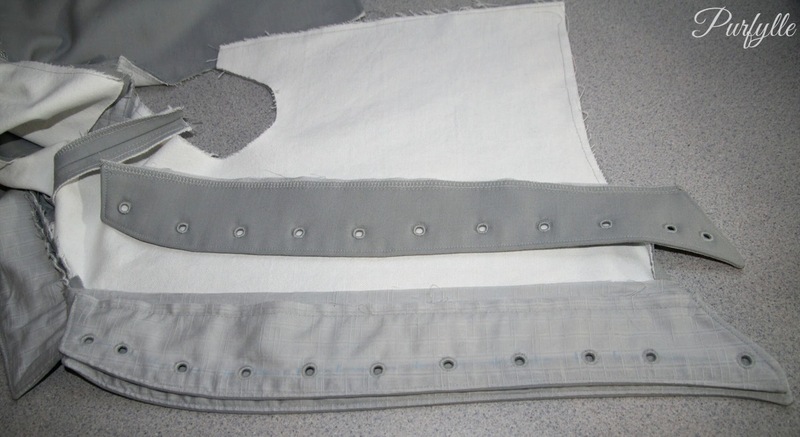 I cut out all the bodice pieces and basted the canvas interlining to the woolen stuff. So with all the boring bits out of the way it was time to get onto the fun stuff, adding the trim! 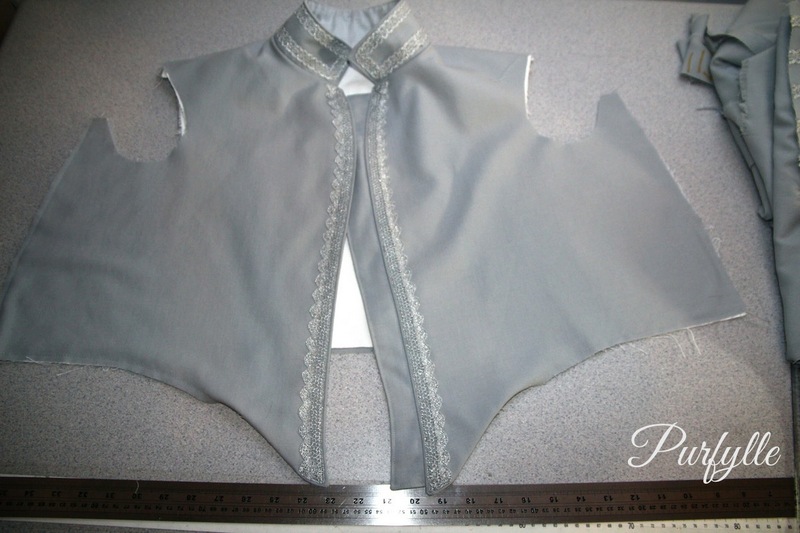 I started with the collar and shoulder wings, using the narrow trim in double rows giving it the appearance of a wider trim. The medium scollop edged trim like the one on the above jerkin was added to the CF opening. Once the trim was on I could add the facing. Next the lacing strips needed to be added. 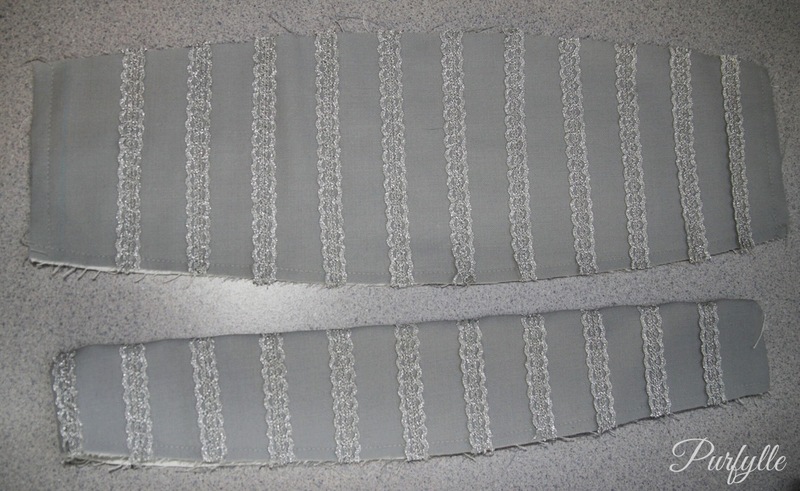 The lacing strips are attached to the facing and the lining will go over both. The photo's so far have all turned out rather monochrome, a problem with photographing grey on grey on grey. Apparently exposure compensation will help with this problem.